This Cassini image captured Saturn's moon Pan (25 kilometers, or 16 miles, across) just after the little moon emerged from Saturn's shadow. Pan orbits within the narrow Encke Gap (300 kilometers, or 186 miles, wide). 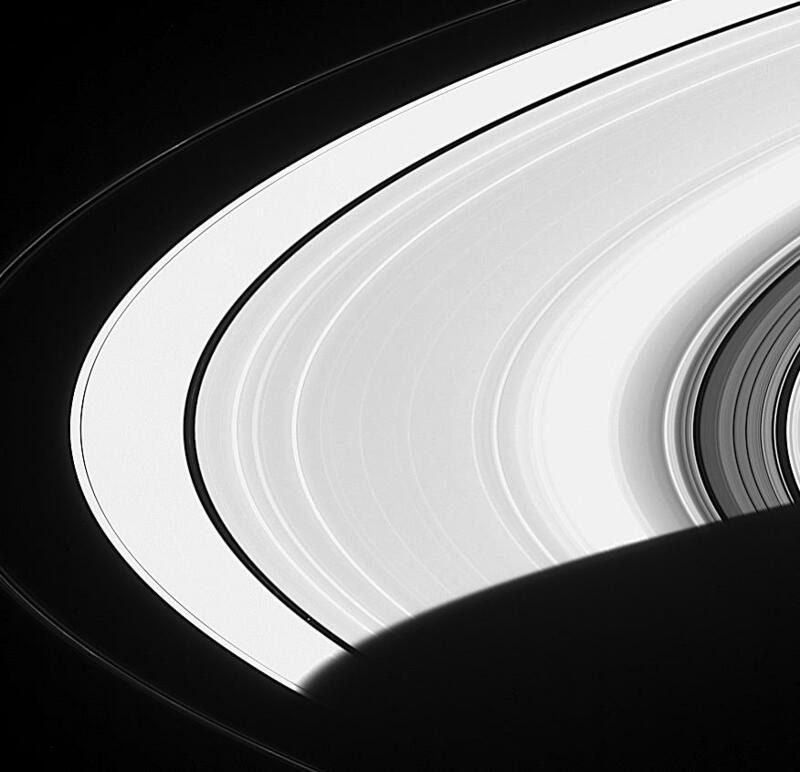 A faint hint of the narrow ringlet within the Encke Gap in earlier Cassini images (see PIA06554) is visible here. 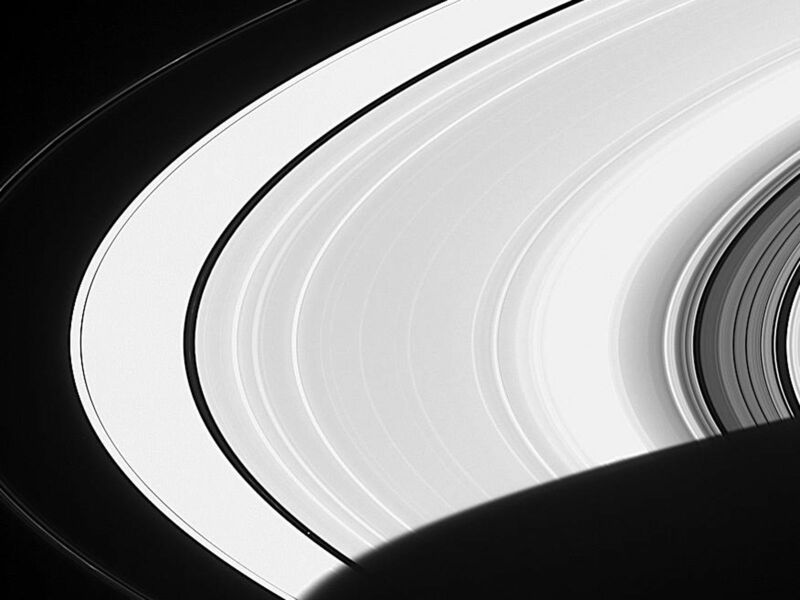 Saturn's rings appear extremely overexposed due to the enhancement used to make Pan visible, but the processing technique also makes other faint features stand out. 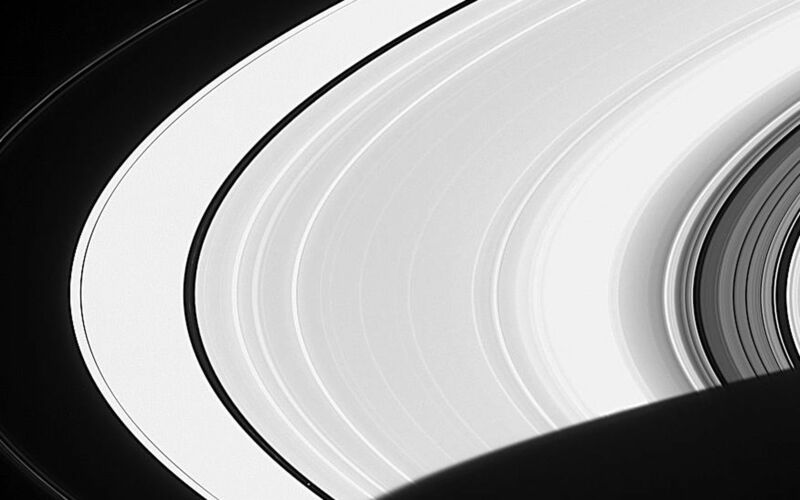 In addition to the bright, knotted core of the F ring, two faint nearby ringlets can be seen. 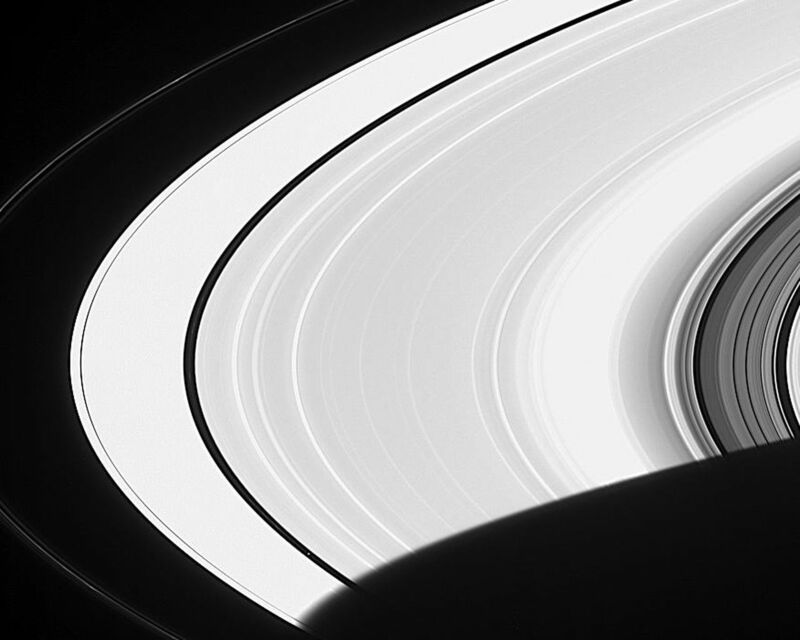 At right, this view of the Cassini Division shows that there is actually a great amount of material embedded within it. The image was taken in visible light with the Cassini spacecraft narrow angle camera on Dec. 1, 2004, at a distance of approximately 4.1 million kilometers (2.5 million miles) from Saturn. The image scale is 25 kilometers (15 miles) per pixel.